From Elsewhere 2 is the second edition of our get acquainted with the state of curatorial practices and artistic positions beyond the European area. First we learned about Armenia, Kazakhstan, Egypt and Turkey. This time we went even further, we learned about the Philippines, Singapore and Myanmar. From elsewhere 2 will take place within the frame of World of Art School and a public programme of the international project Curating–In–Depthprepared by two main partners SCCA–Ljubljana (Slovenia) and Planting Rice (The Philippines) and associated organisation Kurziv (Croatia). The project is supported by Asia-Europe Foundation. 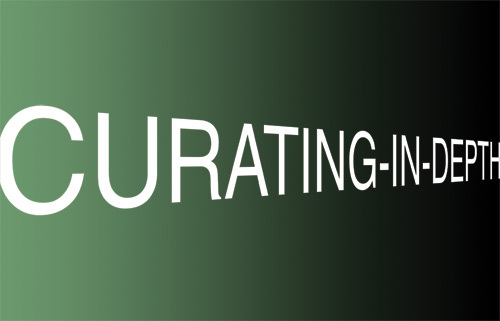 Curating-In-Depth is an incubation project between non-governmental institutions from Europe and Asia, whose goals are for the development of curatorial education. It connects initiatives in the field of curatorial practices and the production of visual arts exhibitions, which share the same approach (we call it the “curating-in-depth”), but are rooted in different cultural environments and artistic milieus. Since 3 May, curators from the Philippines, Myanmar and Singapore are getting acquainted with Ljubljana’s art scene, they also visited Celje and Maribor. This summer SCCA-Ljubljana’s team will return visit and present Slovene art scene in Manila. Fellow colleagues will prepare presentations on current curatorial practices and artistic communities from the cultural environments of their origins. We invite you to join us on Tuesday, 12 May, from 6 pm onwards in the Project Room SCCA! 6 pm: Anupama Sekhar (the Director of the Culture Department of ASEF, Singapore): presentation of the foundation, opportunities and open calls for international cultural cooperation between Europe and Asia. Screening of 13 selected Filipino video works and short films with comments by the curator. The selection showcases the works from 1985 until nowadays and demonstrates different aesthetics and usage of visual language by showing the issues of contemporary society in the Philippines.